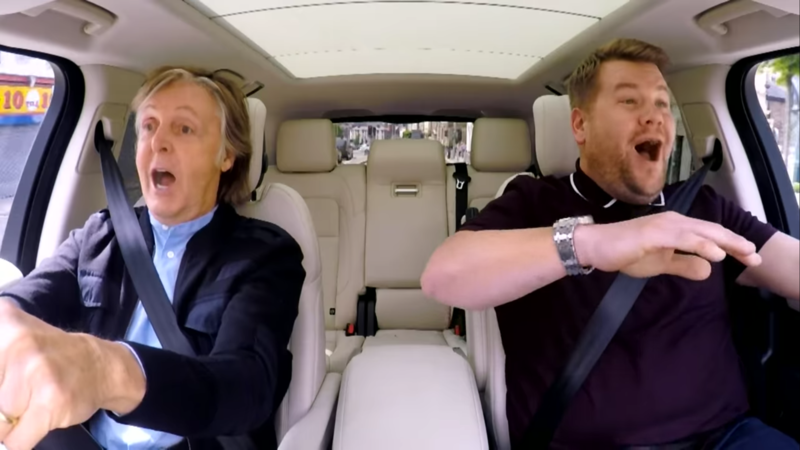 The pair drove around the city singing Beatles hits and also visited famous Beatles locations, including Penny Lane, the Philharmonic Pub, a Penny Lane Barber Shop, Paul’s childhood home in Allerton and the Titanic Hotel. 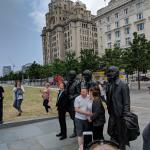 The duo also visited the Beatles Statues on Pier Head in their visit but this was not included in the finished video, but you can see photos from their visit below. 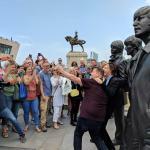 Paul surprised fans having their photo taken, with a photobomb, giving the tourists the shock as though his statue had come to life! James also joined the couple and invited other fans to join for photos with the Liverpool legend, you can see photos of their surprise visit further down the page.